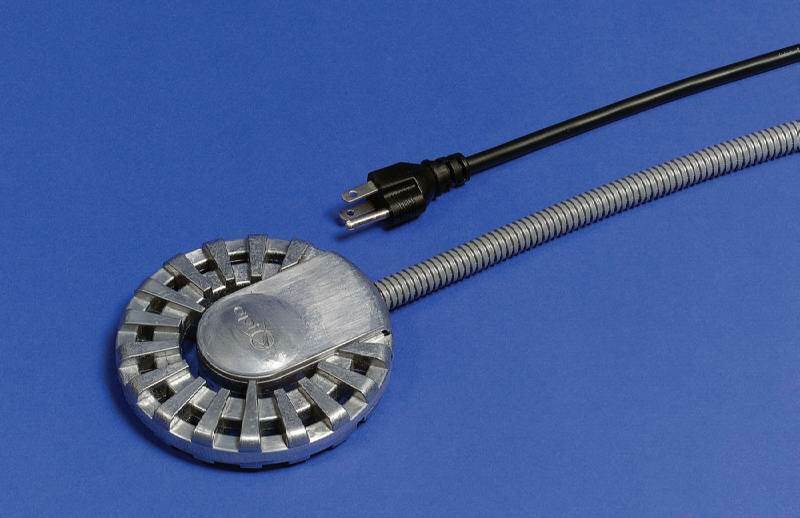 API 250 Watt Cast Aluminum Bird Bath Deicer w/10' Cord-BEST PRICE! Attract wild birds to your yard or property year round with this Bird Bath De-icer with Aluminum Base. Now you don't have to store your bird bath over the winter. Just add this De-icer and it will keep your bird bath ice-free all winter long, even in sub-zero temperatures.The BDT250 has a durable, nonstick-coated, compact aluminum base in a low-profile design. Fins give this de-icer a large surface area, which allows the unit to run cooler while putting out the same amount of heat as conventional de-icers. Channels within the base promote water flow as the water is heated, which helps to eliminate mineral buildup. Multiple thermostat control offers increased efficiency. The BDT250 is safe to use in plastic bird baths and comes with a 10' cord with anti-rub protector. cULus Listed. 250 watts, 120 volts, 60 Hz. One year warranty from manufacturer.